How do you catch your share of online users? When a potential customer enters their “needs” through keyword phrases on a search engine, does your website show up? Search engines are good survival tools for staying in front of online researchers and shoppers, but they only work properly when the information fed to them is optimized to make the best of both paid and natural search. 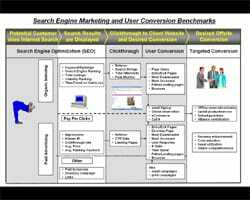 Here are 10 SEO Internet marketing strategies to ensure your search engine marketing (SEM) program delivers customers. Make certain that your site is fully indexed with Google, Yahoo! and Bing. Google handles the large majority of all searches conducted, and on average will be your primary source of search engine traffic. You can be proactive about getting listed with Google by submitting your pages using Google Sitemaps. Also, submitting your site to the open directory dmoz.org will speed up the overall indexing process and will help Yahoo! and Bing find your site faster, as well. Be aware that search engine robots have difficulty indexing some dynamically generated pages. In addition, the algorithms to get your pages to rank high in natural search results constantly are changing. What worked months ago may not work today. Look to Spire Express to help you overcome these problems. Develop a robust list of keywords. 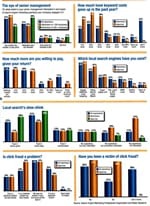 Re-examine this list at least quarterly to ensure you optimize the most popular terms shoppers are using. Online shoppers now use four-and five-word keyword strings to more quickly find what they’re looking for. A shopper who used to search for “red sweater” now is more likely to search on “men’s red wool pullover sweater” to focus the search and yield better results. Create keyword combinations using your existing category and subcategory navigation, and purchase them as keywords. And don’t forget about synonyms, because everybody uses slightly different terms to find the same things. You also should consider buying your brand name and branded keywords. The price per click is likely to be low, and it will ensure that you always have top position. You can improve your rankings in natural search by tailoring your content for better performance. While every search engine is different, you can focus your content optimization efforts around a standard set of key variables: page title, product name, metadata, image alt descriptions and visible HTML text on the page. Incorporate your targeted keywords and key phrases in each of these variables. However, make sure you find the right balance. Repeating your keywords too often on a given page may depress keyword ranking. Use a consistent product naming convention based on terms your customers use. When your potential buyer clicks on your search engine listing, they should land on the most relevant page as deep within your site as possible, and as close to an actual point of purchase as possible. Shoppers won’t bother to search through your site to find the specific product they want. Send shoppers to a page that matches the level of granularity of the search terms they use. If they use broad search terms send them to your homepage. If they search for a specific product show them a specific product or present them with a similar result from your internal site search. Natural and paid searches have a symbiotic relationship. Natural search yields results more slowly and is a long-term strategy. Results are dependent on the quality and quantity of the information you incorporate into your Web site through metatags, keywords and visible page content. Natural SEO is more difficult to do correctly, but it’s much more flexible because it’s not keyword or search engine dependent. Paid search yields faster results with easily trackable ROI, and is limited by budget and the number of listings you can create. Whatever you do for a paid listing is specific to only one engine. Test the effectiveness of your keywords in paid search. See what produces strong conversions and sales and incorporate these terms into your Web site to drive natural search results. Are your search engine results delivering acceptable conversion rates, or are your pages and products not showing up at all? Are you consistently beating the competition, or are you always in second place? Know your rankings, particularly for your most important products or categories. Find out what pages currently generate the most sales and work to get your potential customers to land there. Study your competitors. Model your approach to first meet and then beat them. Find out what keywords and phrases they use, and decide whether you should use them as well. Study your site’s internal search feature to find out what keywords and phrases customers are using. Insert these terms into your list of keywords and into the written content on your site. Watch what happens when your customers come to you from a search engine. Do they actually buy anything? If you get a lot of browsers from Google but they don’t buy, your search standings probably are OK, but your site is letting them down. Find out what pages generate the best conversion and which products sell best; then augment your keyword list to make those pages easier to find. If you specialize in a product or service then play it up with appropriate keywords and written copy. Choose keywords that emphasize the overall value of your offering, your selection, and your knowledge of your product line and your expertise in the sector. You also can differentiate yourself from your competitors by presenting your brand value, exceptional customer service, and an easy return policy and product guarantee in your ad copy or within the search landing pages. Consumers are using comparison-shopping sites more often because they make it easy to find the best price on the products they want. Their primary advantage to the merchant is that they bring you qualified, motivated buyers. They’re also a good way to introduce your business to shoppers who might otherwise never discover you. Their primary disadvantage is that they can create downward pressure on prices. If you can’t compete on price, you can still compete using other differentiators as mentioned above. Test your keywords, landing pages and written copy to see what works best. Consolidate your lead in your strongest areas, and then work on improving the response in other important areas. Fine-tune your site, your keyword list and your paid listings. Sometimes you will discover an enormous improvement by making small changes, but even incremental improvements in conversion, average number of items per order and click-through rate can lead to significant improvements in your bottom line. Use all the tools at your disposal to identify where you need a boost, and work for continual improvement. Naturally all these SEO strategies are second nature to Spire Express and our Web Services team. This is why our Web Clients consistently outperform their competitors. Contact us today to discuss your Internet strategy and our SEO internet marketing capabilities. Search Marketing: An industry with a lot of growth left in it.